Are all birds able to fly? Is a dolphin a mammal? Where do lemurs come from? 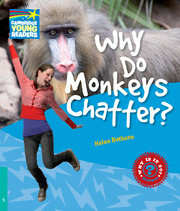 You can find the answers to these and other questions about animals in Why Do Monkeys Chatter?